Marcus Zukanovic was thrilled with his first day at a race meeting with his XD Falcon despite taking a cautious approach to the weekend. 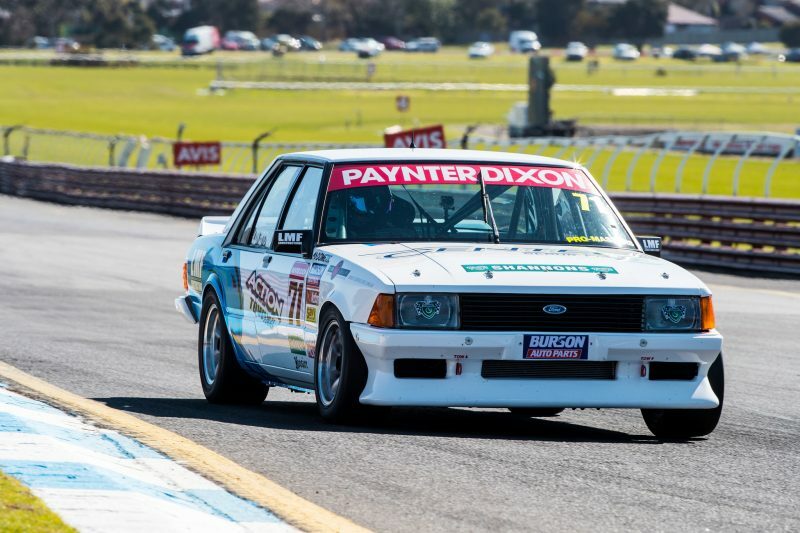 Zukanovic’s XD, a project spearheaded by him and father Mick dating back well into last year, is the first of what are set to be multiple examples of the famous Ford to join the Paynter Dixon Touring Car Masters series in the next few months. 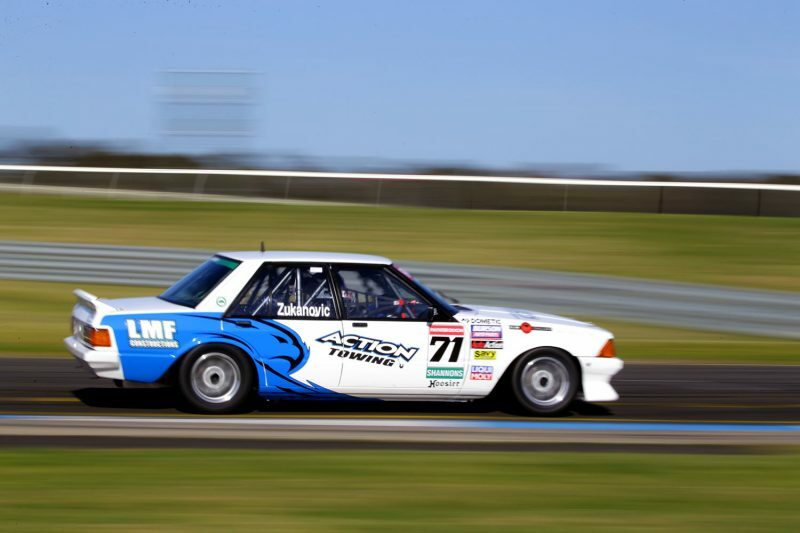 The Falcon was already a hit online before wowing fans in the paddock on the first day of the Rabble.Club Sandown 500 weekend, where it has been joined by another debutant XD in the Invited class. “What’s so cool about the category is that we’ve got these really old cool cars that everyone loves,” Zukanovic told Speedcafe.com. “Let me tell you, it’s nothing like what they were back in the day. There’s obviously a lot of time, a lot of componentry, a lot of R&D. “The category’s taken these cool old cars and allowed us improve them with the modern technologies of today; good brakes and all that sort of stuff. They’re just awesome. Zukanovic was 18th in the weekend’s only practice session before improving to seventh in qualifying in the afternoon, a touch over two seconds away from pole-sitter Steven Johnson in the proven 1969 Mustang Fastback. The former Commodore Cup and V8 Utes series winner is taking a cautious approach in the XD’s first race meeting. “I just want to sneak up on it. I don’t want to do anything silly,” he explained. “I’ve put too many long hours into the build and all that sort of stuff, so it’s just little bits at a time. Baby steps. “The fact that I’m not in (contention for) the championship is probably a good thing. It takes a little bit of pressure off so I can just relax, learn the car, and then creep up on it. “I’m giving feedback to my guys about what the car’s doing but we’re kind of scratching our heads with this particular car because we don’t have the answers yet. “We need to go away from here with some good laps, good track time, go to a couple of test days and then really start to move the car around, suspension wise, to see what it does, what it doesn’t do, and see if we can go any faster. Zukanovic says that the car is nevertheless a joy to drive. “In my little snippet on my Facebook page, I said that anything with big horsepower and small tyres is fun to drive. And that’s basically what it is,” he stated. “The category makes a rule of 15-inch wheels and then you’re sort of capped to how big brakes you can have. “It is an art form and I do take my hat off to all these guys that drive these cars fast on a daily basis because they are such a niche style of car to drive because of the big horsepower and the weight, because they don’t have aero. TCM is on-track three times tomorrow, beginning with the Trophy Race at 0905 local time/AEST.